Emma and Heather also perform as a Flute and Harp duo – see: www.auroratrio.co.uk/aurora-duo. Please contact Emma for all enquiries regarding potential concerts and functions (including weddings). The Aurora Trio is an exciting young chamber ensemble, which is quickly developing a reputation for pushing the boundaries of its unusual instrumentation. Their repertoire comprises many new pieces and original arrangements alongside core works for flute, viola and harp. Since its conception in 2012, the trio has performed widely across the UK; recent engagements include recitals at the Wigmore Hall, Queen Elizabeth Hall, Colston Hall, Norwich and Norfolk Festival, Halesworth Festival and Roehampton University. From 2014-16, the trio held a prestigious chamber music fellowship at the Royal Academy of Music. During their time as fellows, they worked closely with performers and composers from the student body as well as from the Junior Royal Academy of Music and Open Academy, the learning and participation department. The Aurora Trio are selected artists for Live Music Now and The Concordia Foundation. In July 2016, they were awarded the Dorothy Parkinson Memorial Award for Young British Musicians at Harrogate International Festival. The Aurora Trio was established at the Royal Academy of Music in 2012. 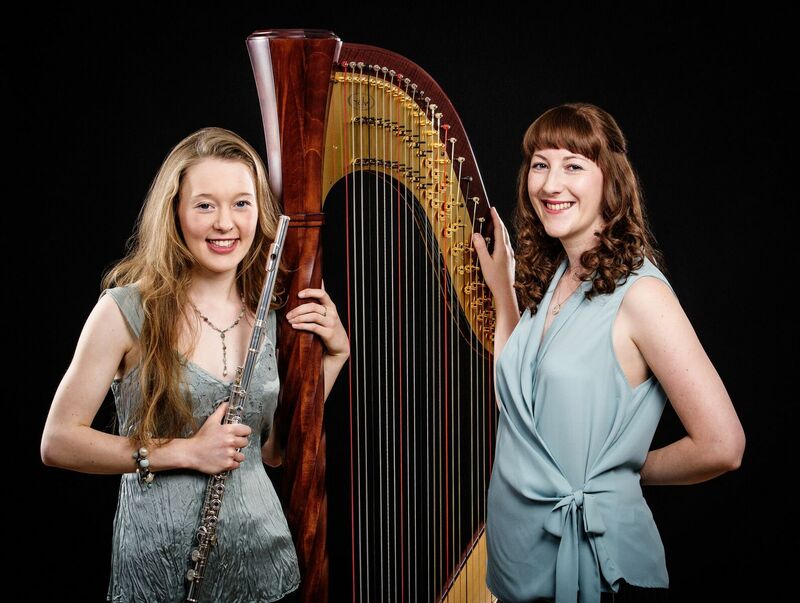 Emma and Heather had previously played as a flute and harp duo; in 2010 they performed Mozart’s Flute and Harp Concerto with the European Union Chamber Orchestra. Joe Bronstein joined the Academy in 2012, and was invited by Emma and Heather to form the trio; the position was then taken over by violist Jordan Sian in 2017. The trio have been fortunate to receive coaching from flautists Kate Hill and William Bennett, violist Martin Outram and harpist Karen Vaughan. 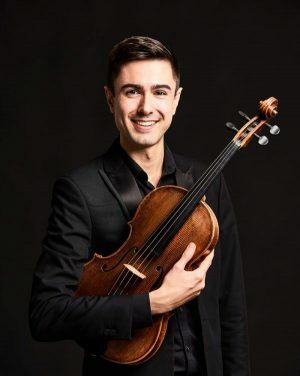 As a chamber musician, violist Jordan Sian has performed across the UK and Europe in concert halls including the Wigmore Hall, Southbank Centre, Sage Gateshead, Cadogan Hall and Kammermusiksall of the Berlin Philharmonie. Recent festival appearances have included both Illuminating Britten and Dialogue at the Barbican Centre, the Allegrovivo Kammermusikfestival in Austria and Gaestival in Switzerland. Jordan made his concerto debut in 2004 and has appeared as a soloist throughout the UK, most notably at King’s Place and St. Paul’s Cathedral. He has been a prizewinner in international competitions, receiving awards from the European Music Festival for Young People, Val Tidone Strings Competition, Worshipful Company of Musicians and BBC Performing Arts Fund. Jordan has performed alongside artists such as Eric Whitacre, Sarah-Jane Bradley and members of the Maggini and Zehetmair Quartets. He has appeared on numerous chamber music broadcasts for BBC radio. Heather Wrighton (harp) studied at the Royal Academy of Music with Karen Vaughan, graduating with an MA (Distinction), BMus(Hons) and an LRAM. Heather currently freelances as a soloist, orchestral and chamber musician which has led her to perform at prestigious concert venues including The Royal Festival Hall, Cardiff Millennium Centre, Royal Opera House, Cadogan Hall, St John’s, Smith Square, Kings College Chapel, Cambridge, Glyndebourne Opera House, Kensington and St James’ Palaces. In addition to the Classical Harp, Heather plays Celtic, Baroque triple and Paraguayan Harps.